When we arrived in the small town of Bled, we immediately noticed the touristic appeal the town (and more particularly, the lake) has. It was September, shoulder season, but coaches with group tours and other holidaymakers were ready for their picture-moment on the lake. We saw a few walking around the picturesque lake, while others decided to take a boat trip. However, we on the other hand ignored the lake for the time being and headed south-west to explore the region a bit more. Saving best for last! 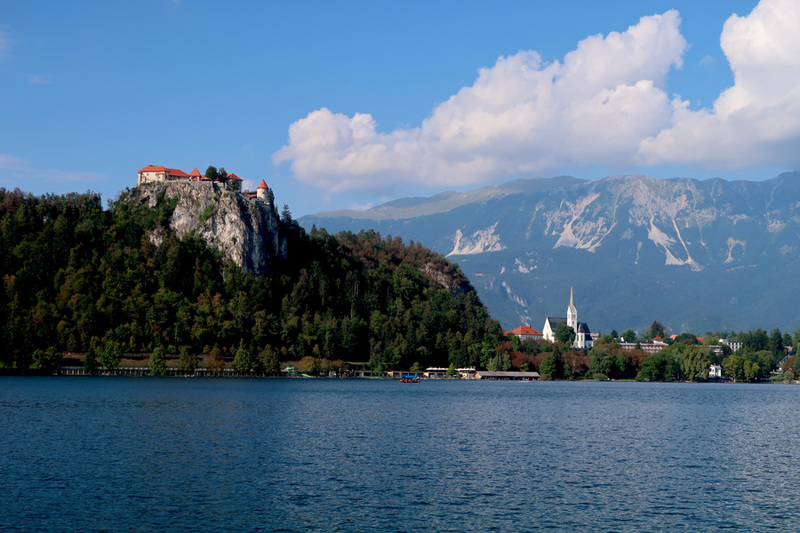 Bled is situated a few kilometres from Triglav National Park, one of Slovenia’s most famous. The park in the Julian Alps, was named after Mount Triglav (2864m): the country’s highest peak. It borders Austria to the north, which means that the neighbouring influence can be found to quite a large extend, in for example the typical wooden architecture as well as in the local cuisine. 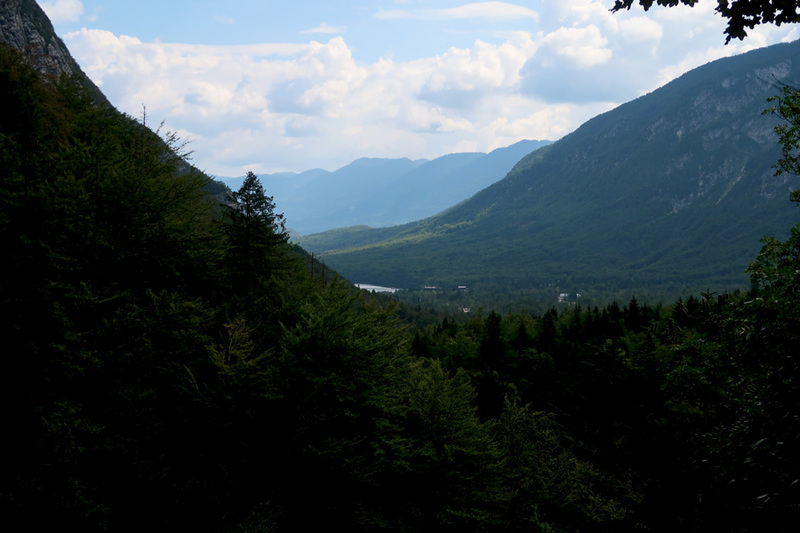 The region lends itself perfectly for hiking, biking and other outdoor activities. Since we were this close to the National Park, there was no way we could let it go unnoticed. The park is only accessible via a few main roads, of which the road through the Soca Valley is probably the most well-known. We followed the river that lead us to the beautiful Savica Falls, passing a beautiful lake along the way where we stopped on the way back for lunch. 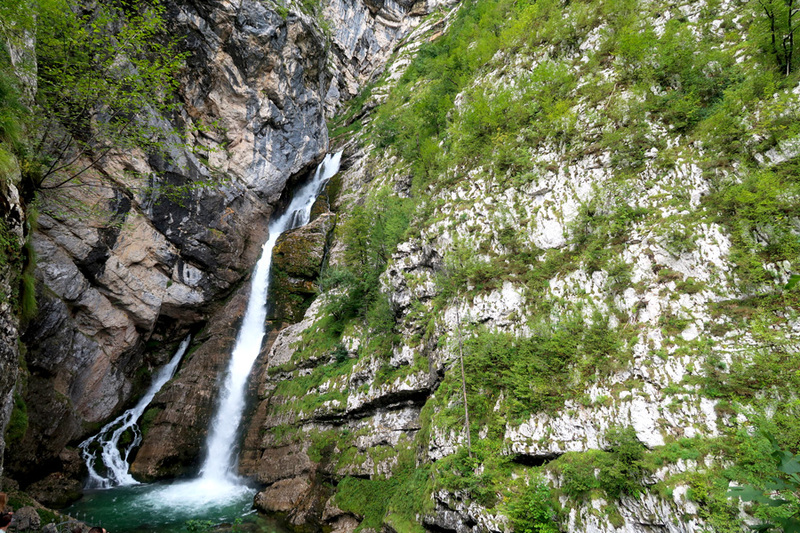 The Savica Falls cascade about 78m into a crystal clear pool below. To reach them, you can park your car at the Savica restaurant and pay a small entrance fee to access the paths leading up to the falls. The route takes you up in about 20min along some muddy tracks lined by pine trees. Through various openings in the trees, you’ll treated with the most spectacular views of the valley below you. Of course, the falls itself are a stunner too. What can I say about Lake Bled that hasn’t been said before? Yes, it’s absolutely gorgeous – it’s probably one of the most idyllic places in Europe. There’s a medieval castle with a proper drawbridge and moat perched up high on the rocks, a silky blue lake with the Julian Alps in the background, and a small island with a beautiful church tower in the midst of it all. So-called Pletnas take visitors to the island that was said to be created by the fairies. Let’s leave it here. I simply won’t do it justice by describing it to you. Yes, it’s a real tourist hot spot. Are there experiences out there that are overrated? Probably. Is the lake itself overrated? Absolutely not. The combination of Triglav National Park and Lake Bled worked for us. 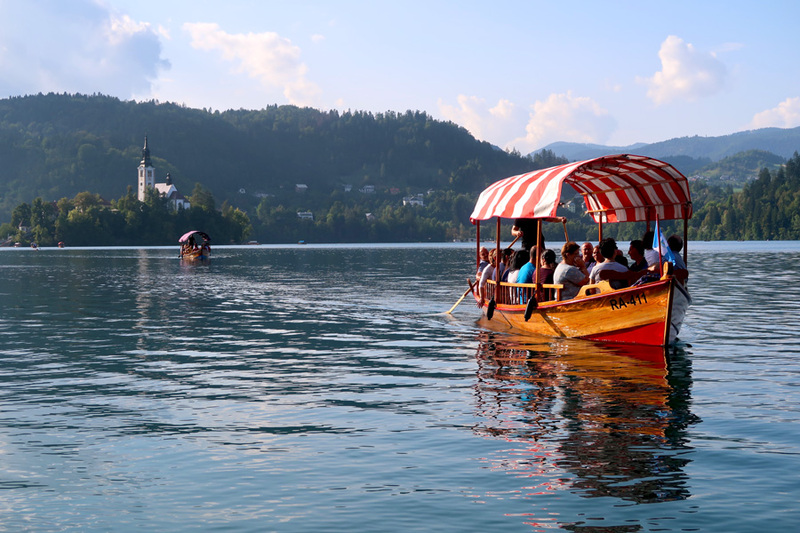 Of course, you can always opt to only stay at Lake Bled and add an extra experience which we didn’t, like visiting the castle or taking a kayaking trip. 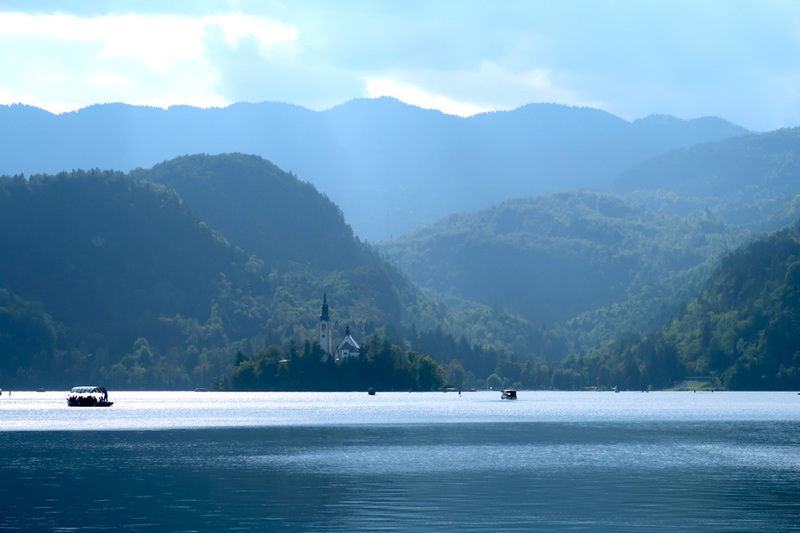 Have you visited Lake Bled? What did you think? Lake Bled is everything people say and more. 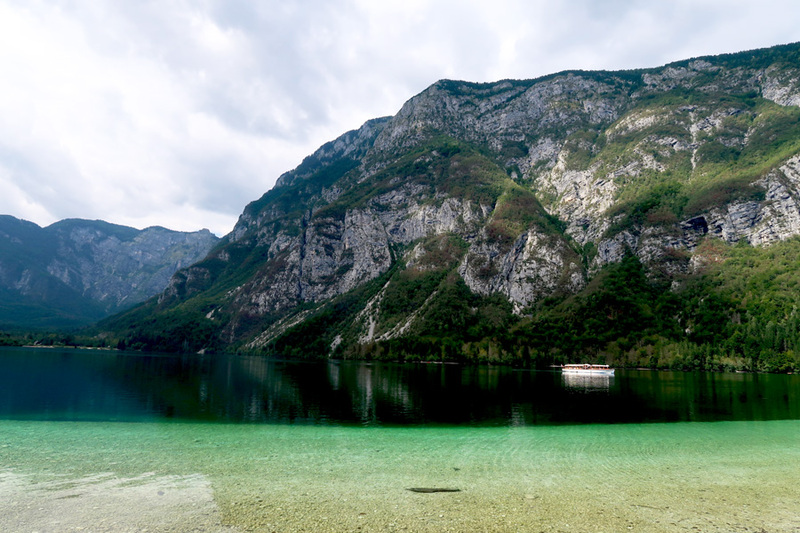 However, there is the option to combine it with Triglav National Park - which is what we did.